I travel to Portland, Oregon often since Josh’s parents live there and have found it increasingly comforting to visit. 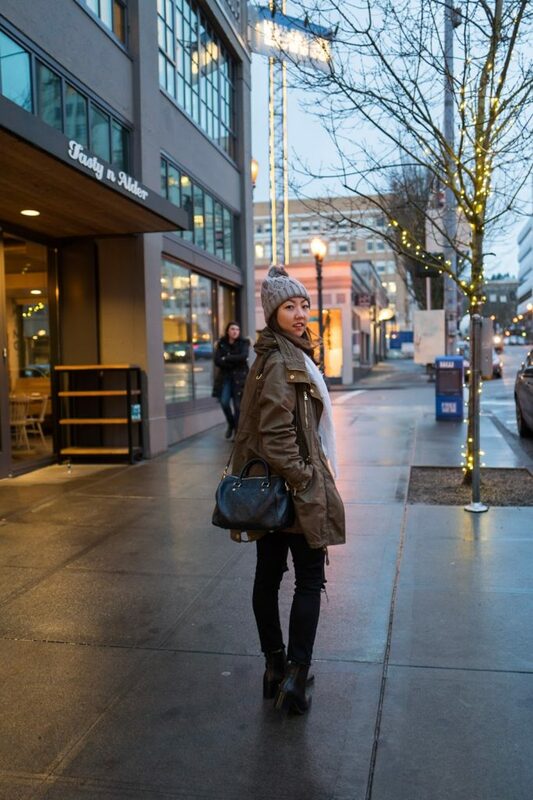 It’s always nice gathering with family and Portland in general has amazing food and great shopping (since it’s all tax-free). It’s also only a 1.5 hour flight from San Francisco which used to be the same travel time it used to take me to get to work. Definitely can’t complain about that! While my visit to Portland was short as I was only there for 2.5 days, I’ve mastered the art of packing light and bringing just what I need. 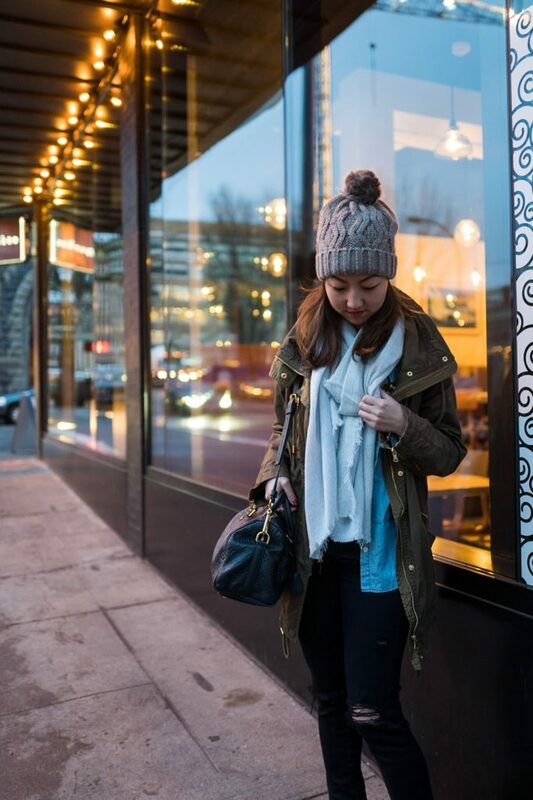 Most importantly, I’ve learned to minimize the amount of thick apparel that I bring and maximize luggage space by bringing layers and winter accessories instead. In this particular outfit, I’m wearing 3-layers plus my scarf and beanie. That alone kept me warm and comfortable enough to brave the Portland cold. 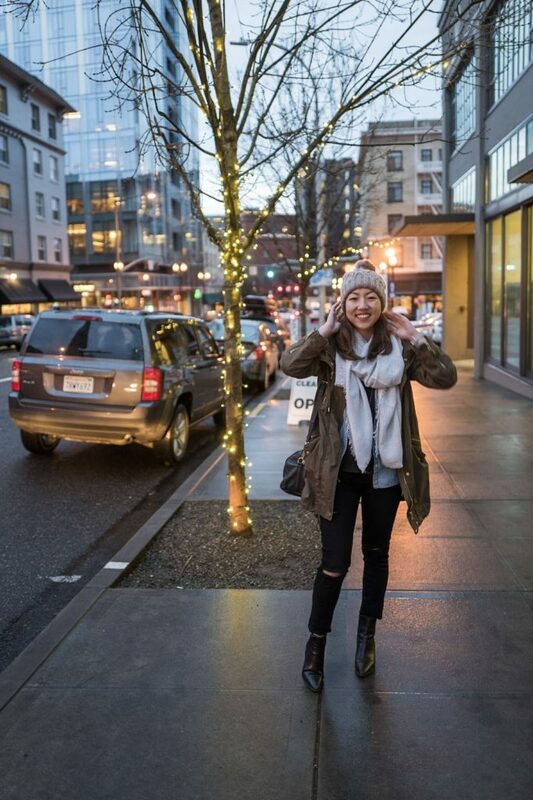 I always want to go to Portland.My friend suggested me that the best time to visit the Portland is at winter season.I want to go with family and Portland in general has amazing food and great shopping.Thank you so much for the wonderful article.When I completed my training from best essay writing service I will definitely visit the place.